I’ve been watching Jeeves & Wooster and boggling over a young Hugh Laurie of House fame. :) He was such a cute young man, and of course, Bertie Wooster is nothing like Dr. House so that just makes it all so much more unbelievably fun. 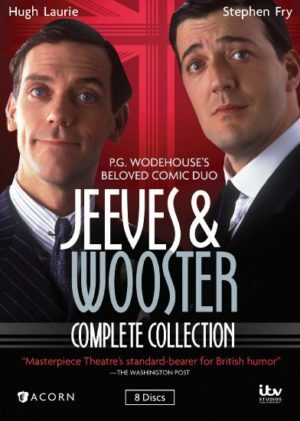 I would have never realized this show existed if I hadn’t been reading P. G. Wodehouse of late, and then at my latest visit to my favorite bookstore within 200 miles (McKay’s) I came across a set of DVDs for the show.